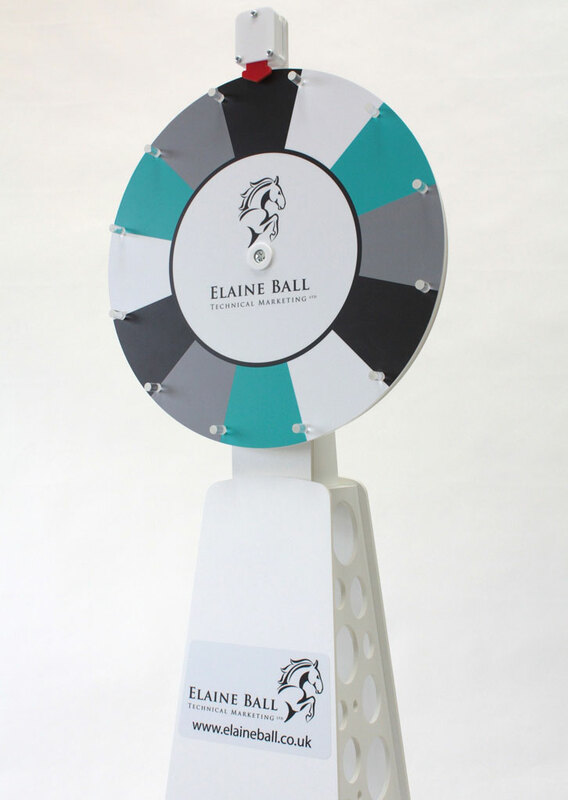 Wheel of Fortune inspired, corporate interactive for Elaine Ball Marketing events. The bespoke prop and clacker was built to specification with a timber sprayed floor stand and acrylic wheel. 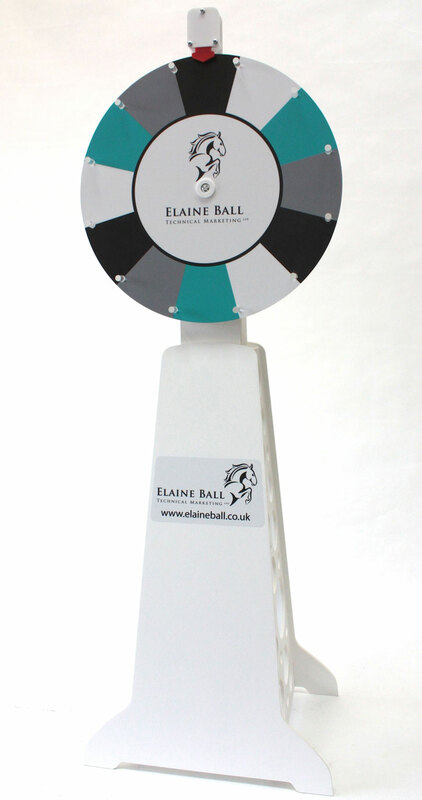 The wheel has been vinyl clad in corporate brand colours with a vinyl logo on the base. If you like this idea for your corporate event do get in touch for a quote and your bespoke design.